Movie Marathon themed weekend inc travelling by floo powder, homemade Butterbeer and all eight films. Even sleep was had. LeakyCon inc Starkid, Wizard Rock concerts – Alex Carpenter, Whomping Willows, Lauren Fairweather, Hank Green and Harry and the Potters melted us. Another two studio tour visits – one included snow. Joining HOL virtual Hogwarts. Resorted into Hufflepuff. Taking classes. Starting HPA Chapter – Phoenix Rising and helping Hope for Food as our first activity. Getting Dumbledore’s (The Elder) wand for Xmas. 2013 was Potterific but here are some more highlights. Geek Girl by Holly Smale – “You need to stop caring what people who don’t matter think of you. Be who you are and let everyone else be who they are. Differences are a good thing.” (Also got to go to my first blogger event and meet Holly who got eaten by a chair!). Garth Marenghi’s Darkplace – “As a writer if you took away my paper I would write on my heart. 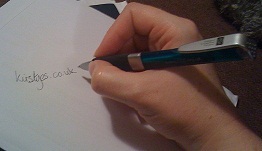 If you took away my ink I would write on the wind…It wouldn’t be an ideal way to work!! (Need to get this into my PhD). Kirigami – Clarissa I never did make an origami nappy like Miranda. Failing miserably and entertainingly at Laser Quest with Cas. Moving back on the chair rather than moving the chair back (and other hilarious haircut adventures). The fun and giggles while making up a very special gift package. OTGeeks! Reading and achieving my reading challenge to read 52 books (I managed a few more too). 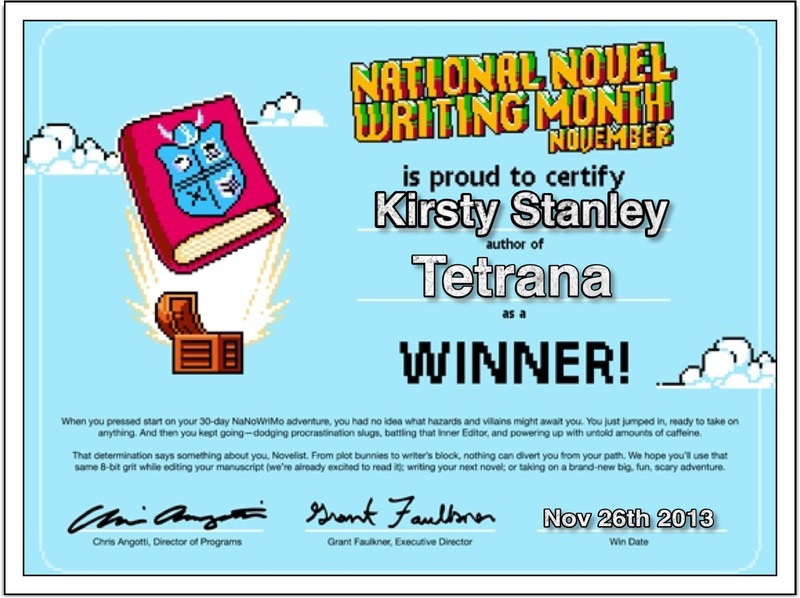 Winning NaNoWriMo for the second time and finishing a whole 0.5 draft (i.e. needs editing and additing but the story’s all there) of Tetrana. Lots of my happy memories revolve around family (especially spending time with my sister) and friends (both bestie school chums and online geeks) so thanks to you all for the happy moments of 2013. It was also a very sad time because it was the year I lost my Taidy. But I hope my sister and I did him proud by reading a piece for him at his funeral. He is still missed. What were your happiest memories of 2013? 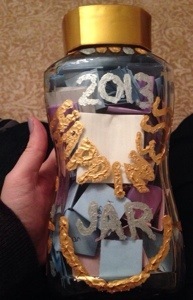 Plan to think a little more about what I want from 2014 – post to follow at the weekend.